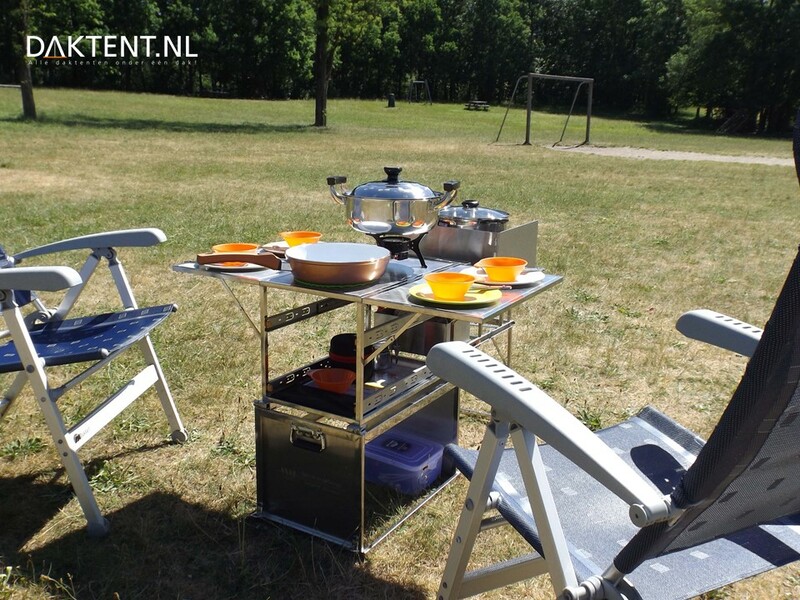 Cooking while camping, pans everywhere and lying around cutlery. There is a solution …. since a while there are several cooking boxes called chuckbox on the market. A chuckbox is a compact box that you can put in the back of your car and does not take up too much space. 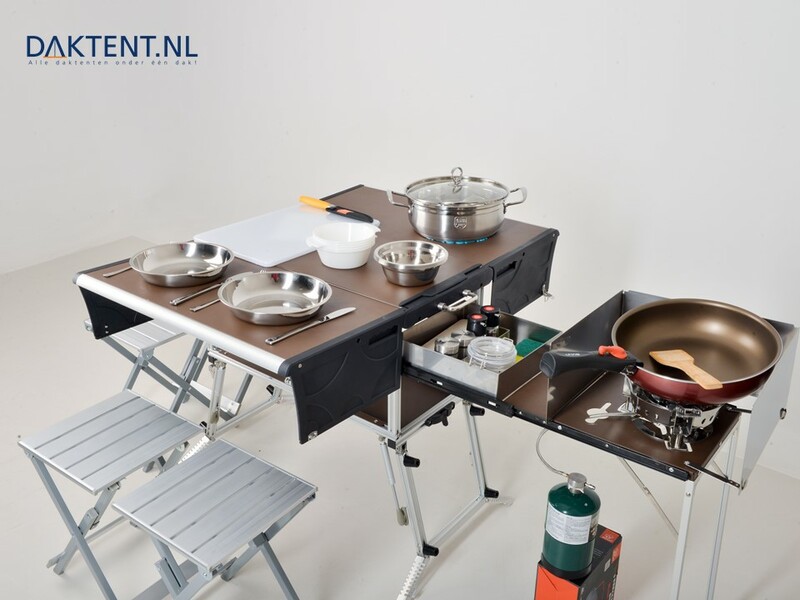 When you open the box, a complete kitchen is created, including a cooker (sometimes integrated) with accessories and a table. From the box you get pans, cutlery, plates for 4 people and other accessories. 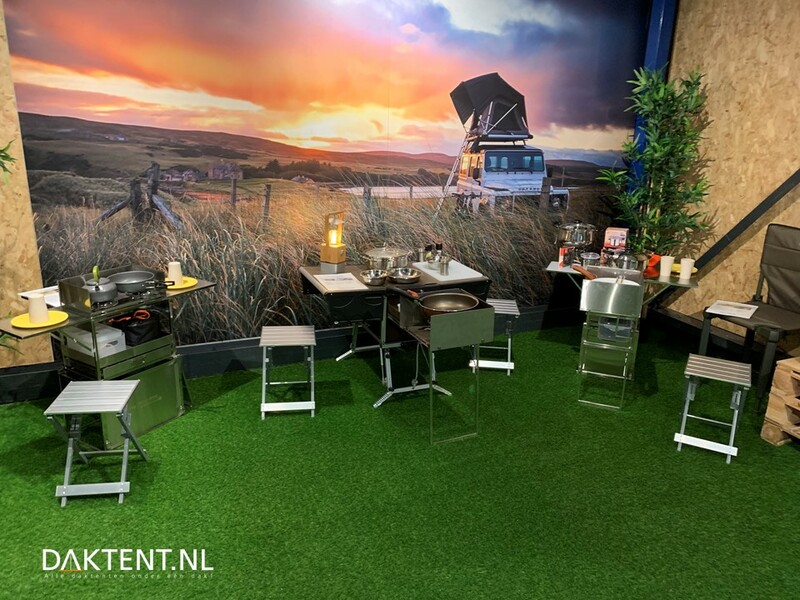 So whether you are going to a campsite or camping in the wild. 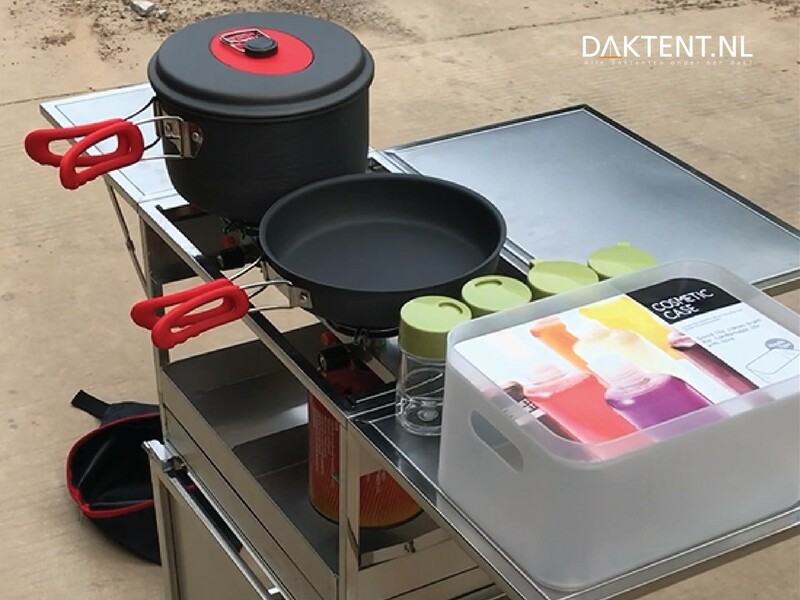 You can get everything from the ‘box’ to cook your meals outdoor. The Q-chuckboxes and the DTBD chuckbox are basically standard on stock in our showroom. In the unlikely event that it is sold out, the delivery time is usually max. 5 working days.